YouTube is most popular and widely used video platform for his users. When you are watching a video on YouTube anyone can check your history. But if you don’t want to show the history of your previous running video’s on YouTube then, you have to run YouTube in incognito mode on Android. In other words incognito mode works as a undercover and no body trace which you are watching at YouTube app at your Android. YouTube is most popular video platform which is used by billion of users on daily basis. YouTube in Incognito mode feature recently added by the YouTube to avoid the tracing. Many times when we watching some videos, but we don’t want these videos appear in our history page. In that situation you must have to know how to run your YouTube in incognito mode at your Android phone. Incognito mode is also known as Private mode, Private Browsing or Private Window. It is a privacy feature which is found in some web browser. It is used to disable all the browsing history and allow any user to browse the web without storing the local data. If you want to use private browsing to keep safe your data then need to know how to start private browsing using Incognito Mode. 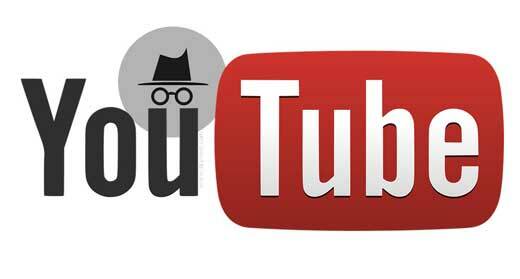 Incognito mode in YouTube available only for Android smartphone users. We still not have any update that it rolling out or not for iOS users. Now, if you have to know how to run Incognito mode in YouTube, then you must have to follow given simple steps in this guide. Step 1: First check you have proper internet connectivity and also have latest version of YouTube app at your Android phone. Step 2: Open the YouTube app at your Android phone and tap on the avatar icon. The avatar icon or your profile image located at top right corner of your active YouTube window. Step 3: In your Account section window, tap on the “Turn on Incognito” option to run YouTube in incognito mode. Now, you can check avatar icon replaced with a black incognito symbol. You can also check a message shown at the bottom side “You’re Incognito” in horizontal black bar. After finish working in YouTube incognito mode, you can easily switch back into normal mode. To switch back from incognito mode into normal mode you have to do given simple steps. Step 1: Tap on the incognito symbol which is placed at top right corner your active YouTube window. Step 2: Now, you have to tap “Turn off incognito” option to exit from YouTube incognito mode. YouTube is very video watching platform which is widely used by billion of users on daily basis. There are lot of users who are daily surfing at YouTube channel either either on Smartphone or Laptop. During watching YouTube videos or movies you need to touch the mouse for control the running video. But sometime you have to face lot of problems when you don’t have mouse or facing mouse driver problem. 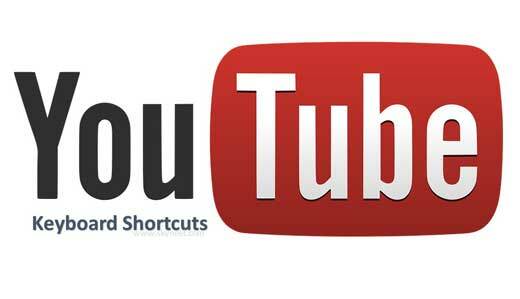 In that situation you must need to know latest YouTube Player keyboard shortcuts which helps you to control the running video.